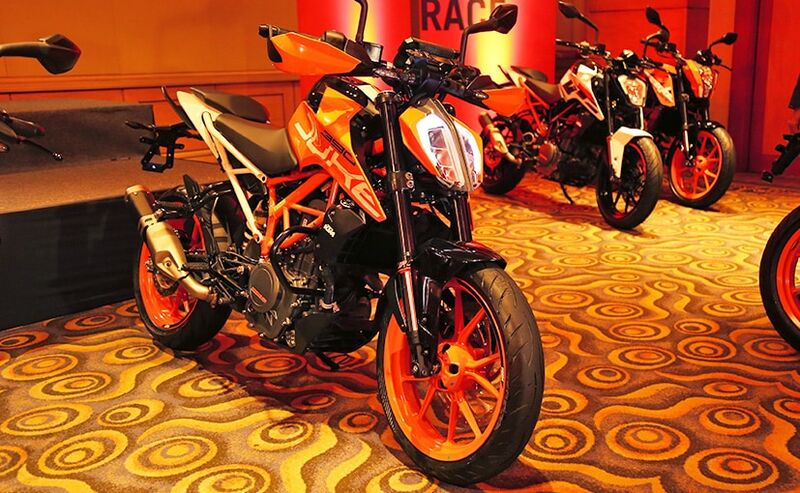 Bringing a new generation of orange power in the country, KTM India has launched the 2017 390 Duke, 200 Duke and the all-new 250 Duke with host of new upgrades in design and technology. Prices for the new Duke line-up now starts at ₹ 1,43,500 for the new 200 Duke, going up to ₹ 2,25,730 for the new 390 Duke. The price for the all-new 250 Duke is ₹ 1,73,000 (all prices, ex-showroom Delhi). Here is everything you need to know about KTM's latest offerings. 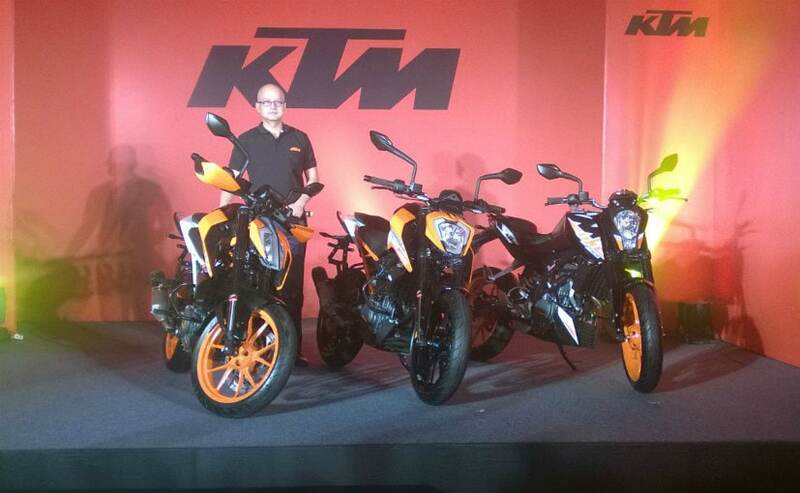 The bookings for all three models are open and the deliveries for the 200 Duke and the 250 Duke have begun already. For the 390 Duke, the deliveries will begin in week's time. Receiving a complete overhaul for the new generation version, the 2017 KTM 390 Duke gets a complete upgrade right from the design to the hardware. The street-fighter now sports the flagship KTM Super Duke R inspired styling with much sharper lines gracing the motorcycle. The new Duke is also bigger now in dimensions, but the wheelbase has been shortened a little for a more compact footprint. The Trellis frame has been retained on the new 390 Duke, but it now gets a rear subframe with the entire setup exposed and more orange this time. The graphics are all new and look stellar. With respect to features, the 2017 KTM 390 Duke gets the new full-LED headlamp cluster that comes with an angular design complementing the bike's profile, as well as a LED tail light and indicators. There is a bigger 13 litre fuel tank in place, replacing the former 11.5 litre unit and will help offer a much better range on the model. In addition, there are a tonne of subtle upgrades including wider rearview mirrors, softer seat cushioning, adjustable levers, CANBUS system, E-Vap unit and new and more durable H rated Metzeler M5 Interact tyres. The 2017 390 Duke is Euro 4 compliant and as a result, also comes with ride-by-wire and a side mounted exhaust to meet the stringent emission norms. The bulk of changes has added nearly 7 kg to the overall weight of the motorcycle. 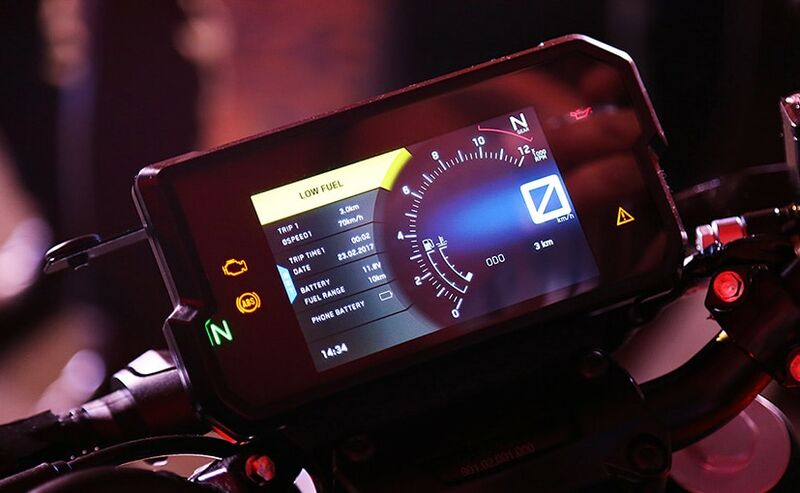 The party piece, however, of the 2017 KTM 390 Duke is the TFT instrument console, which is a segment first feature. The all-digital unit is a segment first and comes with a host of information in more colours and better output. What's even interesting is that screen comes with the phone mirroring technology, which allows you to pair your smartphone with the console. In terms of power, the new KTM 390 Duke continues to draw power from the same 373.2 cc single-cylinder, liquid-cooled engine. The new motor, though, KTM says is a lot more refined than the outgoing version and continues to churn out 43 bhp of power. Torque has increased by 2 Nm at 37 Nm. The motor comes paired to a 6-speed transmission. You also get new split-function 43mm upside-down WP split front forks, an all-new monoshock suspension at the rear, while braking performance comes from the new front brake setup that now gets a larger 320 mm disc. The 230 mm disc at the rear remains the same. The biggest surprise of it all, KTM has introduced the 2017 250 Duke in the country priced at ₹ 1,73,000 lakh (ex-showroom, Delhi). The model was already on sale in certain international markets and is being now brought into the country to fill the void between the 200 and 390 range. The new 250 Duke borrows its styling cues from the new 390, albeit with a host of changes. The full-LED headlamp has been replaced by a conventional looking unit with a halogen bulb and integrated LED DRLs. The other differentiator is the new black wheels on the 250, while the graphics incline towards white on this one. In terms of tech, the 2017 KTM 250 Duke gets the conventional WP USD forks and a monoshock suspension at the rear. The brakes too are the older 300 mm front and 230 mm rear disc units. The 250 Duke also comes with a side mounted exhaust, but does miss out on ride-by-wire. Also, it uses the older orange backlit instrument console instead of the new TFT screen. 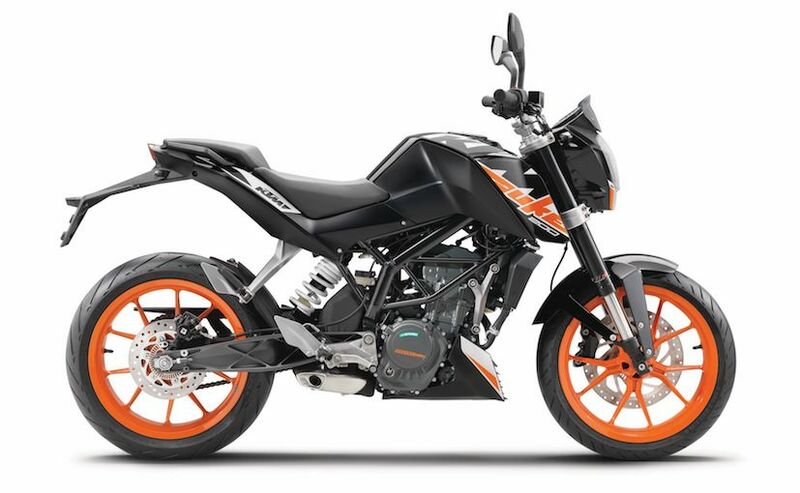 With respect to power, a new 248.8 cc single-cylinder is used on the new KTM 250 Duke. The motor is derived from the 390's 373 cc unit and is tuned to belt out 30 bhp and 24 Nm of torque, paired to a 6-speed transmission. The 250 Duke also comes with a slipper clutch, but does not get adjustable levers. The wider mirrors and soft seats are available. The bike also rides on the MRF Revz tyres instead of Metzelers. The new 250 Duke brings more performance without the premium price tag or power of the 390. Offering just the right balance, the model should find a lot of takers in the country. 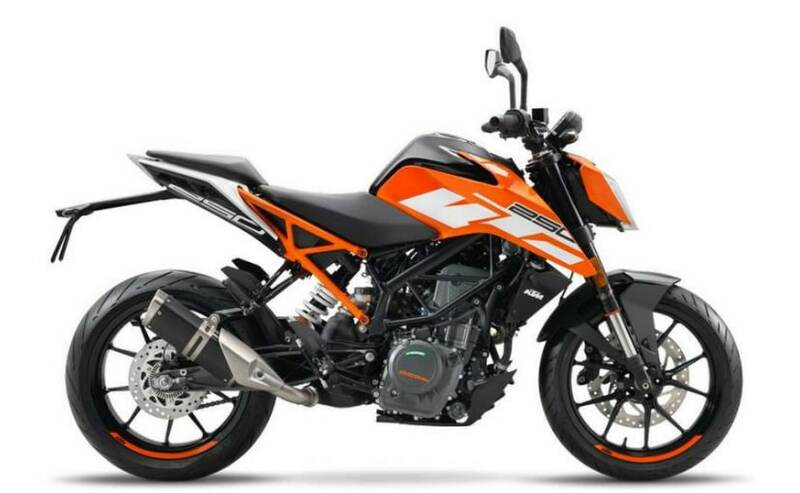 With the new 250 here, KTM's new entry-level model will be the existing 200 Duke that has been updated for the 2017 model year. The bike continues with the current design but gets new graphics and paintwork to boast off. It also continues to retain an underbelly exhaust instead of the side mounted unit seen on the bigger siblings. It was spotted testing earlier in the country as well. The 200 cc single-cylinder motor like that on the 2017 RC200, is now BS IV compliant with no change in power output or mechanicals. So the engine continues to make 25 bhp of power 19.2 Nm of torque, paired to a 6-speed transmission. Subtle changes like the wider mirrors, better seating and a revised instrument console have also made it to the 2017 200 Duke. Prices have seen only a marginal escalation over the new model.